Slim, sleek and attractively minimalist, the M-Edge GO! Case will take you from breakfast to bedtime and everywhere in between. 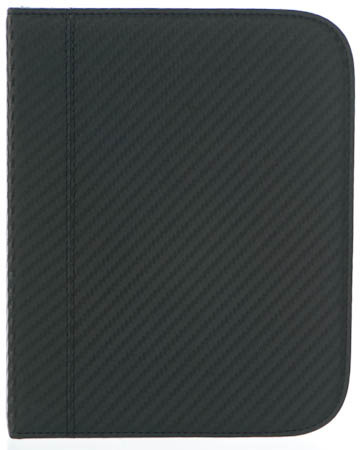 I bought the Carbon look jacket for my Nook Touch. The quality seems excellent and it makes using my Nook even more pleasurable. The problem I had with my Nook is that it was too thin to use comfortably one handed for extended periods of time and the jacket resolved this. I just wish we had more cover options to choose from. Come on M-edge give us more options. I LOVE THIS COVER, AS IT FITS MY NOOK PERFECTLY. I had a Barnes and Noble one and hated it because it was not soft tot he touch. It also fits with my m-edge light, so I could not be happier. I've only had the cover for a week but my response is very positive. It has a nice smooth finish on the exterior (red). The interior (grey) has a soft suede-like feel. The four corners hold the Nook tightly in place - no slipping, no sliding. The cover can be folded back behind the Nook for ease of handling. All ports and buttons are easily accessible. A winner. Bought this for my girlfriends birthday, she loves it. This cover feels good in the hands, and doesn't add a lot of weight or size to the nook. I like the texture of the cover and the inner lining. It folds back on itself neatly. It would be cool if there was a mechanism to keep it closed (I had a 'Lautner' cover on my 1G nook that had a magnetic latch, but that might be overkill for this and I would not want it to add extra bulk.) The mounting system is very secure -- but why not use the built-in two notchs like BN covers do? Just curious on that. I went for this cover and I'm really satisfied. I mean, this is a product of great quality which nowadays is hard to find. It feels great in hand. Of course, it's a bit bulky but I like it to be more like a book. My only complain is the fixation system which I picked up is not available in black. I'm starting to get used to the red though…! :) is not available in black. I'm starting to get used to the red though...! Thanks M-Edge! I'm very happy with this cover, especially since I didn't think I even needed a cover. For months I got by using just a padded dvd mailer to protect the nook while traveling. 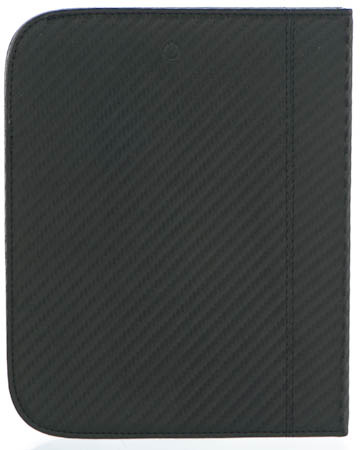 But I have found that with this cover, the nook is easier to hold, as it's more like a book. This cover was a bit more pricey than others but well worth the extra money as it is of much better quality. The carbon-look really appeals to my taste and the plastic case that holds the nook in place is superb. I thought that I would regularly remove the nook to hold separately but it functions better inside the case. One of my best purchases!! I ordered this 7am Monday morning & received it Tuesday (next day) at 1pm--& I live in Canada. M-Edge has great customer service!! I already have the black carbon jacket but wanted a jolt of color for the drab winter months. I love this jacket!! It is a very pretty hot pink color but not too bright. I was a little leary about the mounting system but it works well--very easy to get my Nook in & out of it & it holds it firmly in place. Very pleasant reading with this cover. My only complaint with m-edge would be the very limited selection of covers for the Nook touch. 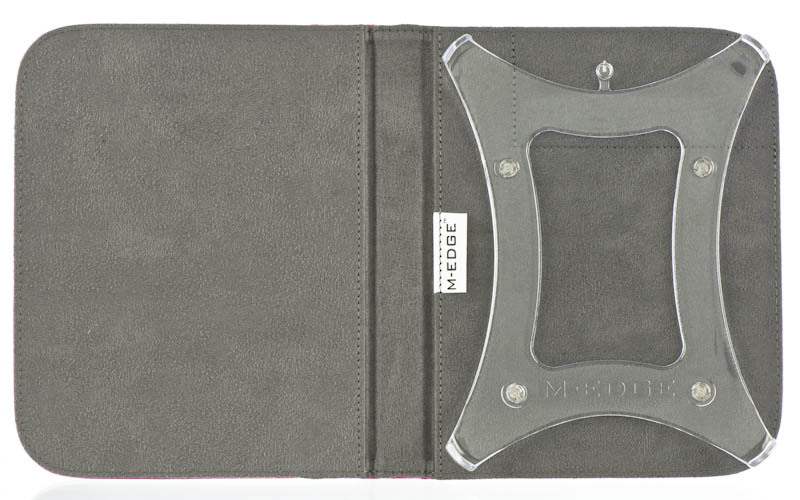 I have 3 different m-edge covers for my Kindle 3 so when I got a Nook touch, I waited for m-edge to come out with their covers. I have had this cover for a week & I love it! It looks better in real life. This cover is very sturdy & protects my Nook well. It is comfortable to hold. Easy to clean. 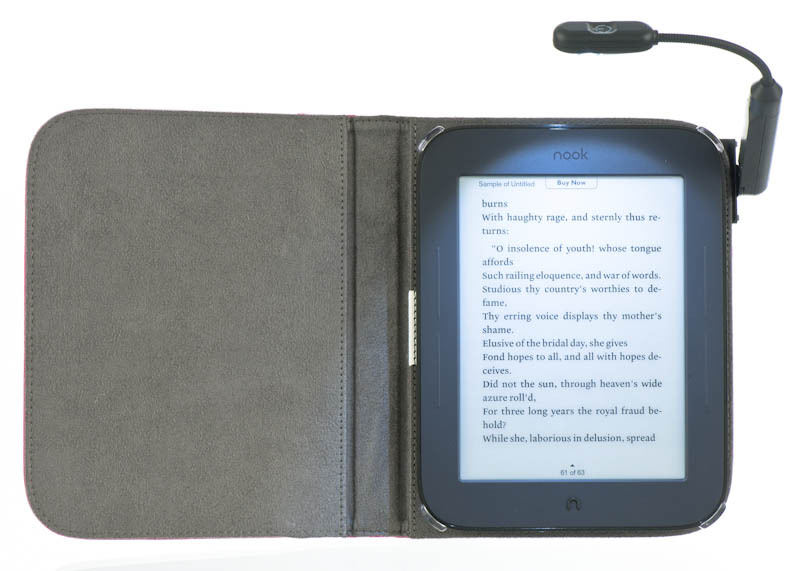 It has the same mounting system as the kindle 3 covers. 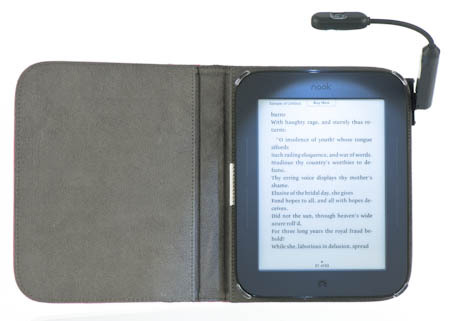 You can swing it around, turn it upside down & my Nook doesn't budge. I got the e-luminator touch book light with it & they work great together. You can easily turn the Nook off with the light in the cover. M-edge provides excellent customer service & i would order directly from them again. M-edge, you make the best covers for e books!! I hope you will be making a Capital jacket for the Nook with this mounting system. 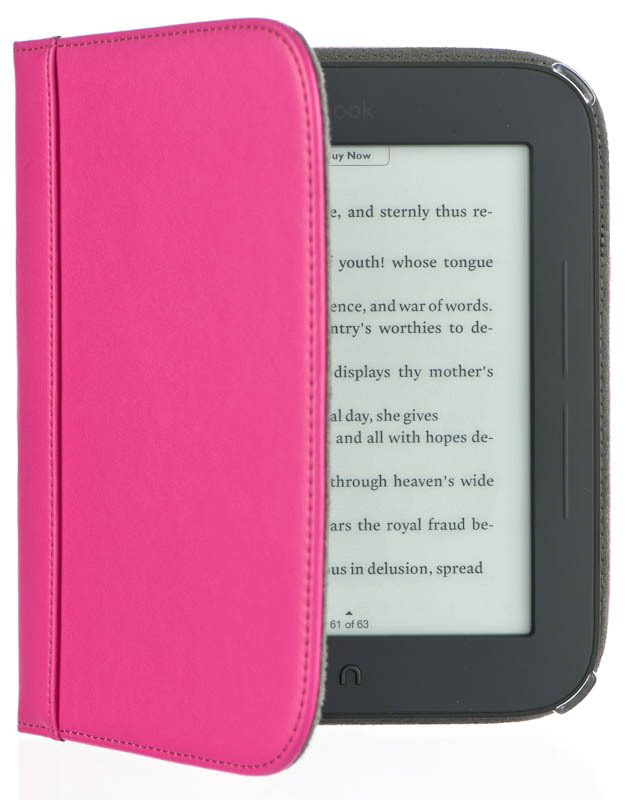 I had a pink Latitude cover for my Sony Pocket and loved how protected my reader was, so I knew I would want a M-Edge cover for my new nook too. The nook looks great in the pink cover and is very secure in the four-point mounting system. There is also a button on the back of the cover that allows you to put your nook to sleep or power it down without removing it from the cover. This cover also works great with the older M-Edge light that I had purchased to use with my Sony. I really like that this cover is designed to not leave the light in as it reduces the extra space allocated for that purpose. The cover folds over easily for one-handed reading or, if you leave the cover open, it feels more like you are reading a book. After using this cover for a month, the only concern I have is that nothing prevents the cover from falling open in my purse, i.e. there is not a magnet closure or clasp. Overall, I am very happy with my cover!